Big news this week from the land of indie comics. Boom! Studios acquired Archaia to become a indie superpower. I am excited about the prospects of this development as I truly enjoy both publishers. Read more about it here. In San Diego Comic Con news X-Files announced a 25th anniversary panel, the Walking Dead has big plans up its sleeve for its tenth year, and more details are released each day! About three weeks away from my annual trip to the mecca that is SDCC, and despite the complaints that it is no longer about the comics, I want to stay current with the funny books. 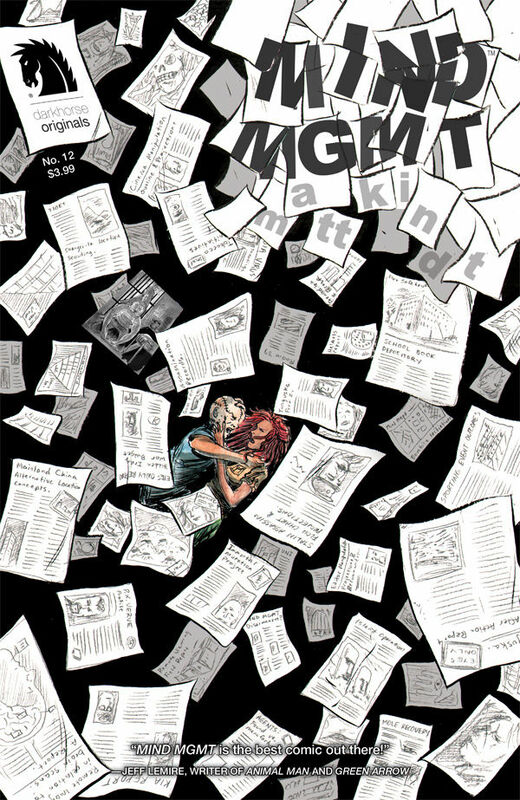 Mind MGMT #12 - Matt Kindt concluded the second arc of his magnum opus is stunning fashion. I have high expectations for this book each month and it always exceeds those expectations. Meru is finally able to unlock her past that has eluded her throughout this series and the reveal is worth the wait of 12 issues. This issue is setting a clear path for the next chapter, although you can rest assured that Kindt will have plenty of sleeper agents, twists, and turns for us to experience. I have been going over a comic summer reading list in my mind and rereading this series has just skyrocketed to the top of that list. Batman/Superman #1 - Greg Pak delivers an interesting first issue into DC's bloated Superman and Batman lineup. Akin to the old Joseph Loeb Batman/Superman comics, each character retains his classic voice and the tension and lack of trust of one another is palpable. Jae Lee's art sets it apart with a darker tone and there is some supernatural thrown in for good measure. I am on the fence with this one. The Bounce #2 - Issue 2 was good enough to keep me on board for the first arc. Joe Casey's characters are interesting and flawed and he does a good job blending humor and tension. We learn that Jasper's (The Bounce's) big brother is assistant D.A. which can only up the level of drama in what seems to be an increasingly deep book. X-Men #2 - Brian Wood delivers the action with issue 2 of his all female X-Men. Arkea, a bacterial villain who has the power to control technology, has is in an all out battle with the X-Men, whom her twin brother Sublime was seeking help. My favorite moment in a book chalk full of explosions was Jubilee laying with a baby and a stuffed Totoro. I am becoming more and more of a Brian Wood fan the more of his books I read. 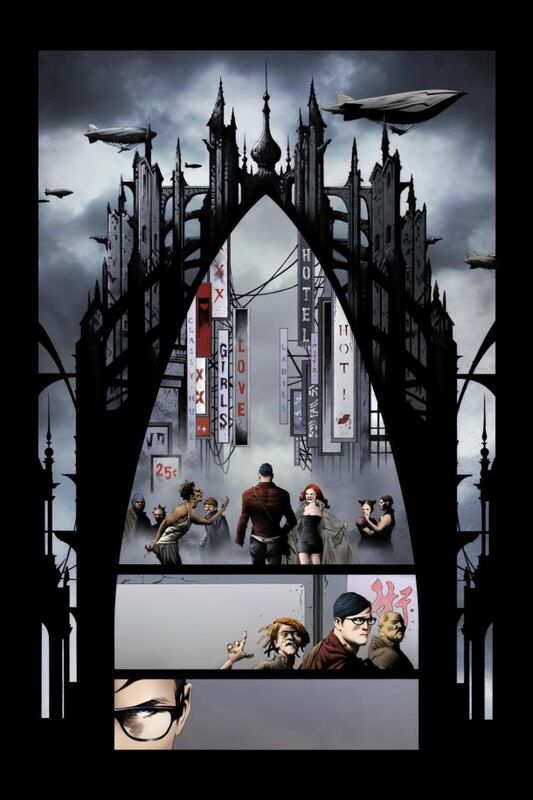 The Wake #2 - After issue one of this title from Scott Snyder and Sean Murphy I was not immediately hooked. I gave issue 2 a try because I believe in this creative team and I was not disappointed. We learn a little more about this team of scientists and why they were brought together to study this mermaid type beast. With ties dating back to the dawn of man, it seems the mermaid is a primate that evolved during the last period of climate change. Whatever this creature is, it has the ability to warp one's mind and has a message to deliver. A terrifyingly haunting good issue. 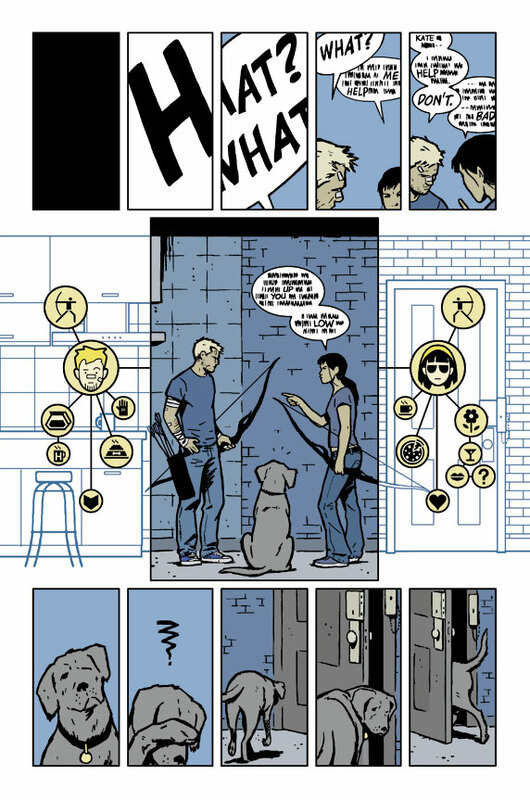 Hawkeye #11 - Hawkeye continues to be one of, if not the, most original superhero book out there. This week we are treated to life in the eyes of pizza dog. The entire book is through his perspective and it is filled with heart, humor, and some good old fashion bro taking down. Whether you have been reading this book or not you owe it to yourself to pick up this issue. Pure gold.